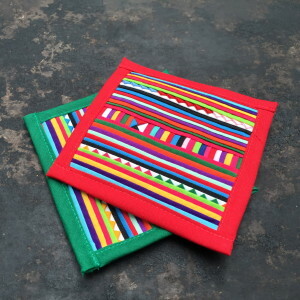 These bright colored coasters are painstakingly stitched together by the minority hill tribes in Chiang Mai, Thailand. The hill tribes live in extreme poverty, and are marginalized from the local communities. Hence, they rely primarily on their handicrafts to support their families.